The Divi Paving child theme and layout pack is everything a paving company needs for their website! 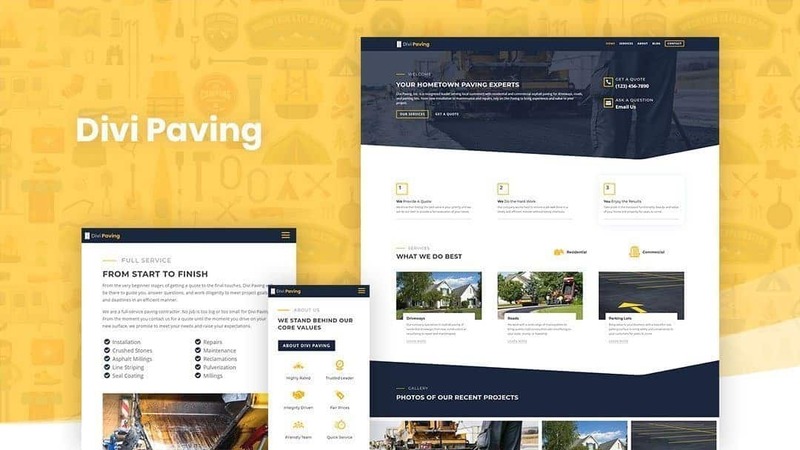 With premium features and a modern look, Divi Paving is an affordable and complete website solution for paving contractors who want to grow their business and maintain a professional web presence. In just one click your website will look like our demo, and you will be on your way with a modern, fully responsive website for your growing paving company. Hi, I’m Nelson, and I designed this Divi Paving website with the typical paving contractor in mind. In my experience, this is the type of website they need. The Divi Paving child theme is a complete WordPress website template installed as a theme. The Divi Paving layout pack is a complete WordPress website template installed as a plugin.